Redwood fuel with its high vanadium and carbon deposits." Gulf representatives Warren Eise and Sam Ross with Butch Barras, ACBL Assistant Super- intendent of Boat Maintenance, in the Bill Elmer pilot house. One of three Krupp MaK 453 inline 6 cylinder engines now powering the M/V Bill Elmer. 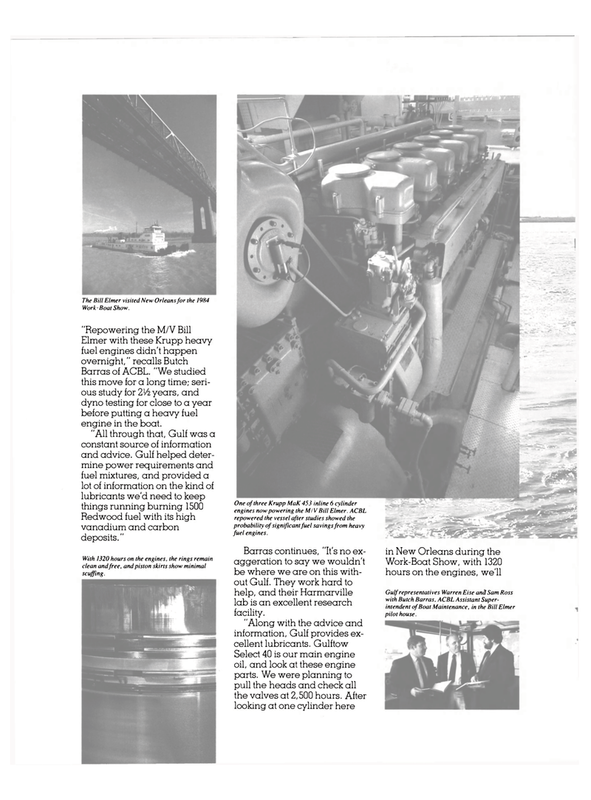 ACBL repowered the vessel after studies showed the probability of significant fuel savings from heavy fuel engines.